JHud and The Wizard of Oz in Central Park, umm, does it get any better than this? Also, if you read the last paragraph closely, you’ll notice that Netflix will be serving up free streams of the 70 year old classic film at netflix.com/wizardofoz on October 3, 2009. We’re proud to present a 70th anniversary celebration of the classic movie The Wizard of Oz later this month in New York City. We’re hosting a free outdoor screening of the movie in Central Park, preceded by a free, live concert featuring special performances of songs from the movie by: Jennifer Hudson, Julianne Hough and ?uestlove of the Roots. 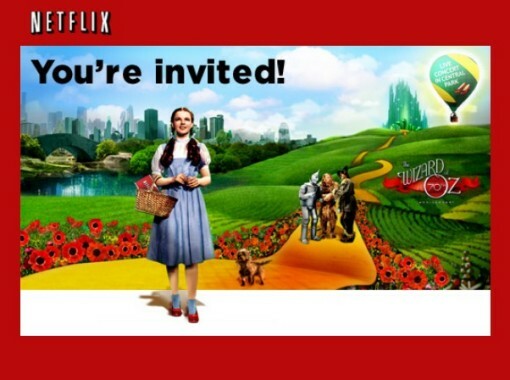 As part of the celebration, Netflix will also be inviting the general public to instantly watch The Wizard of Oz for free online on Saturday, October 3rd, at the website noted above. Be sure to tell your friends not to miss this classic movie and try out the Netflix service. If you’d like to find out a little more about the lore of Oz, you can check out the August 28 episode of Kurt Andersen’s Studio 360.